Must see TV — More Burger Land Episodes Coming! George Motz‘s Travel Channel experiment Burger Land was apparently well-received enough to generate more shows. First one is tonight! Should be some good burger TV watching. First episode focuses on L.A. Set the DVR. New series by Hamburger America guy George Motz. It’s called Burger Land and it’s on the Travel Channel. Watched the first two episodes–good stuff. First featured New Jersey sliders, second focused on Wisconsin regional burger varieties–the Butter Burger, and burgers cooked in lard in one place (WEDL’s), and kind of poached in grease and water on a waterlogged griddle in another place (Pete’s). All burgers were quite tantalizing. He focuses on mom-and-pop joints that have been operating forever. Should be a great series to keep up with. South Austin fancy-pants burger bar Hopdoddy is opening at Anderson/Burnet this month! Looking forward to trying them out, since I never get south. Home-baked buns + in-house ground beef. Erstwhile Statesman food reporter Mike Sutter has a new site, Fed Man Walking, and he’s just embarked on a series sure to be of interest to ABN readers–50 Burgers in 50 Days. So far he’s hit Top Notch, Dirty’s, Hat Creek, Dan’s, Phil’s, Five Guys and Hopdoddy. NIce pix of burgers and sides included with each entry. Worth keeping up with. There is no index page for the series that I can find, so just navigate to his home page and click on the link in the upper right of the page. The afternoon sports guys are taking nominations for their burger bracket. Head to their site and you can enter your four favorite burgers for consideration in the seeding for their “tournament”. Beware that it appears to be a thinly veiled customer/demographic harvesting scheme, as the form you have to fill out to enter the bracket asks for your contact info, age, hobbies, any upcoming major purchases, etc. We have stumbled upon your blog and love it!!!! Chris. I realize that you have a passion for good quality burgers. We would love to invite you to try one of our Steak Burgers at Old School BBQ & Grill. We think you will really enjoy it!! We grind two cuts of Angus “Choice” Steak to create these steak burgers (all burger is ground fresh everyday). No worries, we only serve these burgers up with cheddar. Don’t be shocked but you will be ordering this burger from Austin’s only BBQ Bus!!! You can visit us on facebook to find our daily arrival times and locations. Vote for Austin’s Best Hamburger…? 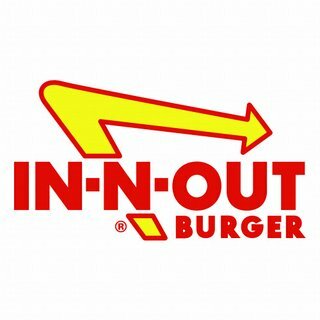 Austin360.com is conducting a poll to determine “Austin’s best burger”. There are 17 entrants, each with an accompanying photo. Notable absences: Top Notch, Houston’s, Mighty Fine, Elevation, TerraBurger. Strange. Update 4:45pm: looks like they have corrected some of those omissions, no doubt due to this post, and it now contains 23 entries.